The new $7,500 tax credit for first-time home buyers, which is part of the newly passed 2008 American Housing Rescue and Foreclosure Act, is not worth the paper it is printed on. It is not a tax credit in the traditional sense of the term. It is actually an interest free loan. You have to pay it back!! 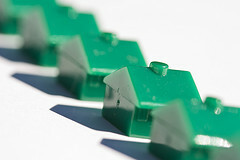 To qualify, you must close on your new house between April 9, 2008 and July 1, 2009. The tax credit is equal to 10% of the purchase price of a home, up to $7,500 for singles and married couples filing jointly. Two years after you claim this credit, you have to start paying it back to the government. You must payback the tax credit over 15 years in 15 equal installments which will result in an extra $500 on your tax return each year that you will not receive back as a refund. If you sell your house before the fifteen year mark, then you have to pay the rest of the loan back that year from your profits. The good news (if there is any) is that if you sell your home and receive no profit, then you have nothing to pay back to the feds. So, this year, if you want, you can receive a large tax refund when you file your taxes. Taxpayers can get the tax credit even if you do not owe $7,500 worth of income taxes to the government. Instead of reducing your income tax bill by $7,500, the government will add it to your refund. The definition of first-time home buyers is broad. The bailout bill stipulates that a first-time home buyer is someone who has not owned a principal residence for the past three years. The tax credit starts being reduced for a single person once he or she has reached $75,000 in adjusted gross income. A couple starts to get phased out at $150,000 of income, and the credit goes away entirely at $95,000 for singles and $170,000 in income for couples. This is the first time that the government has made a tax credit that is both refundable and repayable. It is a tax credit with a lot of strings attached, and not enough Americans are realizing the stipulations. And, time is running out. Many Americans will be filing their taxes in February asking for this loan from the government not realizing it is a loan. In this troubled economy, who wants to make on more debt? This tax credit is another example of the federal government rushing into bailout ideas that are ill-conceived and not in the best interests of the American taxpayer. So, instead of getting the $7,500 at the time you close on a new house when you most need the money, you have to wait. So this won’t really help a would-be home buyer who is having trouble coming up with the cash for a down payment on a first home. His tax credit will help the people who really do not need the help, people who have already bought a house during this troubled market with their excellent credit and good down payment they saved. For more information, you can check out this excellent website sponsored by the National Association of Home Builders. I just recently purchased a home, and I have a loan a little bit more than $7500 balance due collecting 15% interest. I fully intend to take advantage of this tax credit, paying off the balance of the loan and start saving my $400 a month to put towards my increased living expenses. I think as long as someone does their research, and makes an educated financial decision (vs going on a spending spree because there’s money in the bank) this can be very beneficial. I have no problem paying $500 at tax time, to have the ability to actualy start saving $4300 a year because of my reduced bills.